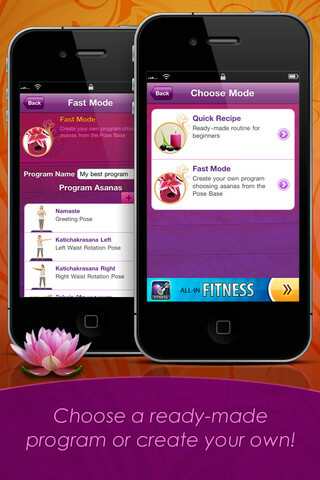 Developer Quote: "YOGA Free: 250 Poses & Yoga Classes contains 250 yoga poses with instructions and photos, plus a special yoga tune for maximally effective sessions!" If you're in your 20's, the concept of aging may never have occurred to you. However, if you're "30 something", those years seem to be fast closing in much as you hate every passing second, wrinkle and ill-effect of time! Well, did you realize that preserving your physical, mental and emotional well-being is not as hard as you may think? One of the greatest health benefits I know of is yoga. This form of exercise has a way of de-stressing your life and energizing you while creating sound, physical health. You can join a yoga class which may cost big bucks at the gym. 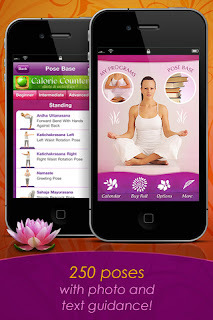 Or, you can use YOGA Free: 250 Poses & Yoga Classes iPhone and iPad health and fitness yoga app which is absolutely FREE, and sets you quickly on the path to well-being! This "body and mind in harmony" fitness app guides you through the many disciplines and forms of yoga to make it more easily integrated into your life. You'll enjoy brief video clips which have been especially prepared by a yoga instructor. As you increase in knowledge (or if you already are a yogi), you may even prepare programs using many of the actual poses contained within this app. - Got a call or SMS during your workout? The app will automatically pick up right where you left off. - Be inspired: find an encouraging quote from famous yoga enthusiasts in the Calendar. Launch YOGA Free and select your choice of navigation from My Programs, Pose Base, Calendar, Buy Full, Options and More. My Programs provides "Ready made routine for beginners" which includes clear short video clips displaying timers, and "Create your own program choosing asanas from the Pose Base" where you will name your program and insert poses. The Pose Base is well organized into levels of Beginner, Intermediate, Advanced and Guru. Clear photos are displayed with detailed information on how to achieve the various poses. Just from viewing these pics, I can tell I'm definitely not up to Advanced or Guru standing yet! The calendar contains inspirational phrases for each day of the week, and browsing through I found a true enough quote by Amy Weintraub, "The yoga mat is a good place to turn when talk, therapy and anti-depressants aren't enough"! In Options, set Pose Name Voicing, Timer Period, Tap Sounds, Teacher's Voice and Calendar Statistics. Here you will also find very helpful instructions on how to use the app to access all features. I like the simplicity of instructions, photos and videos as well as the excellent organization in layout of the app. If you find that yoga is enriching your life, go ahead and purchase the full version in-app which contains additional routines, tunes, a personal yoga teacher and more. 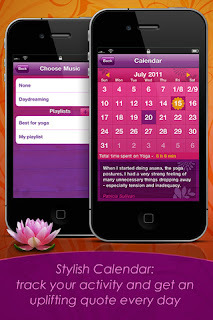 Use this app to turn your free time into worthwhile moments that enhance your life by integrating all the fundamentals of yoga. COOL CONCLUSION: There's never a better time than today to improve your health and spiritual well-being with the detailed instructions, photos and videos of YOGA Free: 250 Poses & Yoga Classes.